It was meant to be a holiday: a two-week break to a tropical paradise to celebrate a sister's birthday. But for Schapelle Corby it ended up a never ending nightmare. Arrested at Denpasar airport in 2004 after marijuana was found in her board bag, she had become the victim of every traveler's darkest fear. The drugs had been placed in her bag after she'd checked it in and she was forced to face the consequences of someone else's crime in a country where the penalties for drug smuggling are barbaric. Her trial became a major news story, as it was glaringly obvious that the evidence she pleaded to be considered was being ignored, and thorough investigation she begged for was being shrugged off. She was sentenced to a shocking 20 years in an Indonesian jail. Her appeals were dismissed equally as lightly, with the end of the judicial process being reached in March 2008. Today, she remains in that squalid cell, as she will for countless years unless something is done. She will miss the best years of her life, never have kids, never see them play.... the list is endless. Despair and misery doesn't even begin to describe it. 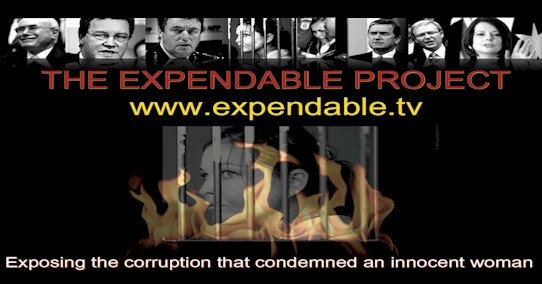 Whilst you are reading this, whilst you are sleeping, whilst you are travelling to work, or perhaps playing sport or watching TV... tomorrow, next week, next year.... remember where Schapelle is. She desperately needs you: she needs you to act for her, to speak out for her. There is a significant amount of information about this shocking case on the internet. Please do take the trouble to research, to understand how desperate this situation is. Read our Introduction, then check out the Legal Assessment of the many breaches of Schapelle's human and legal rights. Also see the Schapelle Corby Facebook Group for further information and current developments. Or perhaps you can simply view our own Short Video for a good introductory overview. Then there is her book: yes, she wrote a book in that cell (and paid heavily for it). It was first published in Australia last year and is now available in the US and Europe: Schapelle's Book At Amazon. It is truly a traumatic read. However, what if you are not based in Australia, as most of us aren't? Yes, of course you can still send packages to Shapelle, or make a donation.... but you can do more. Tell your friends, colleagues and family about this. Post links to this and the other Schapelle sites on forums, message boards, and social network sites. And, IMPORTANTLY, contact the authorities. Perhaps write to the Australian Embassy in your country: explain how you feel, and urge them NOT to forget her... to prioritize her and use top level diplomacy as a matter of urgency (link to AUSTRALIAN EMBASSIES). These may sound like small things, but they truly are EVERYTHING to Schapelle. YOU have to become her voice, because she has had hers taken away, along with her life. 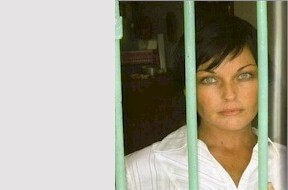 Schapelle: Please don't let her become a forgotten soul. 2017.